Tonight’s (4/28) board meeting will be held in the Elementary school art room on the 2nd floor. 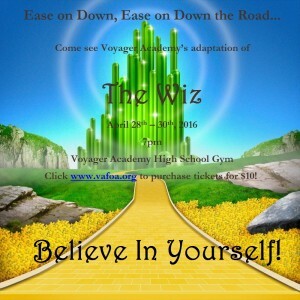 The Wiz is coming to Voyager Academy! VAHS will host the classroom portion of Driver’s Ed for 2 weeks on July 18-21 and July 25-28 from 8:00-12:00 each day. **Sign ups will take place in person at the High School on May 17th in Room E140. Students who are 17 years old or older, sign ups will start at 7:00am on May 17th in Room E140. 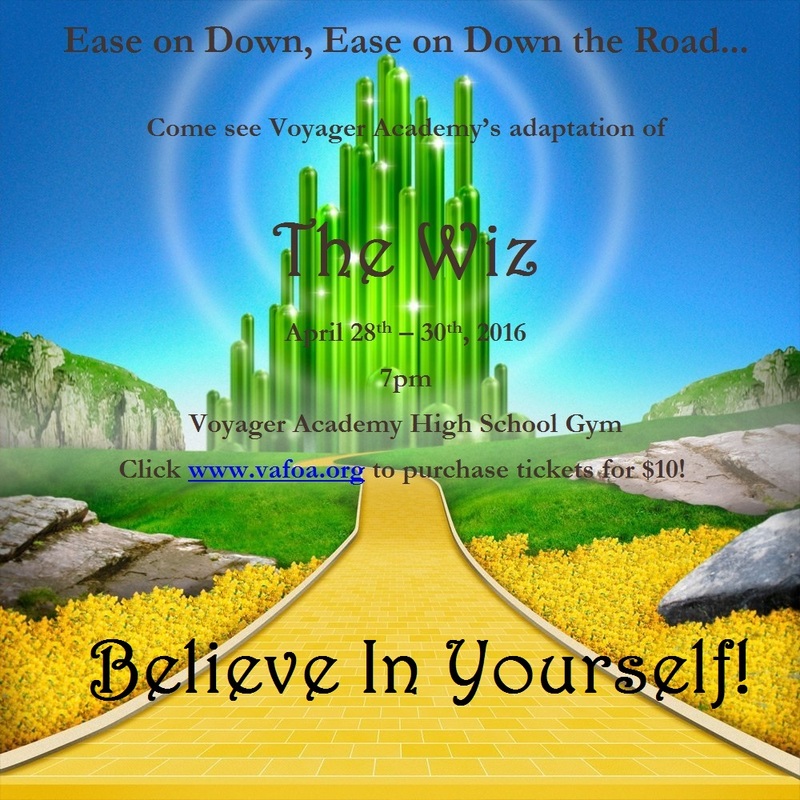 Students who are 14 1/2 -16 years old, sign ups will start at 7:10am on May 17th in Room E140. The class can hold 25 students. Spaces will be filled on a first come, first serve basis. Parents will not need to be present on May 17th for their child to sign up for Driver’s Ed. Students will be able to sign themselves up for the class.